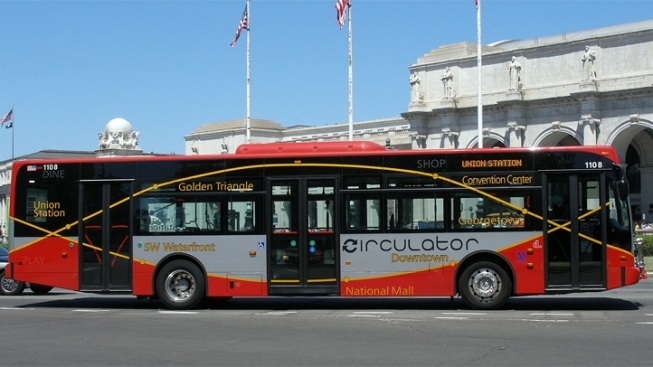 The D.C. Circulator is extending its hours for the summer season along two routes. Beginning Tuesday, the two bus routes will increase service by two hours on weeknights and add Saturday service. The extended hours will last until Sept. 30. The two routes increasing their hours are the Union Station to Navy Yard route and the Potomac Avenue to Skyland via Barracks Row route. Both routes will run Monday through Friday 6 a.m. to 9 p.m. and Saturdays from 7 a.m. to 9 p.m. The Union Station to Navy Yard route will also have extended service for Washington Nationals baseball games. The cost of riding the Circulator is $1 for adults.